Dobbin brings a unique talent set to the team. A collaborative, partner-centric, results oriented, strategy development executive with proven success having a 25-plus years in managing financial technology, payments and marketing technology companies. Dobbin is a force in conceptualizing and implementing sales, marketing, product and strategy methodologies. These methodologies include successful campaigns with the world’s largest financial institutions, payment companies, card brands, retailers and dozens of other Fortune 500 corporations. 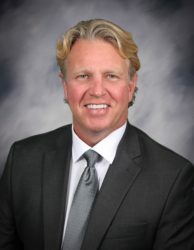 Dobbin is a partner with Karyon Holdings and Harvest Payments and is currently involved as a board member and/or advisor within a portfolio of successful payment technology companies. Dobbin has a wealth of experience in payment technology, managing product and marketing for a top 12 Payment Processor while also managing product and strategy development in partnering with some of the world’s best-known brands in the space such as MasterCard and American Express. Highly accomplished in, vendor partnerships, board leadership, and developing advocate relationships with C-suite executives. The combination of his strategy and payment technology experience will help differentiate the ATPC brand offering.